Assorted inverts including cleaner and peppermint shrimp, emerald and hermit crabs, conchs, sand-sifting star, sea cucumbers and snails. and yes... I like my wrasses! Very nice, one of my favorite tanks in the club! Ultimately appears to have been a chunk of mineral in my CA reactor dissolving metals into the tank but by the time I figured that out it was over 😂 After some Triton detox treatments and lots of water changes I have been slowly trying to restock. Also made a couple of tweaks to the system by adding a Titanium heater with integrated temp probe-style controller (also run through the system controller as backup), a "new" skimmer and a Avast skimmate locker. Picked up a used Aquamaxx ConeS Q3 on a great deal from CnC (thanks Jeff! @CuttleFishandCoral) which allows me to make better use of my limited skimmer compartment in my sump. Had been using a older Aquamaxx CO-2 which worked well but could never get completely buzz-free. 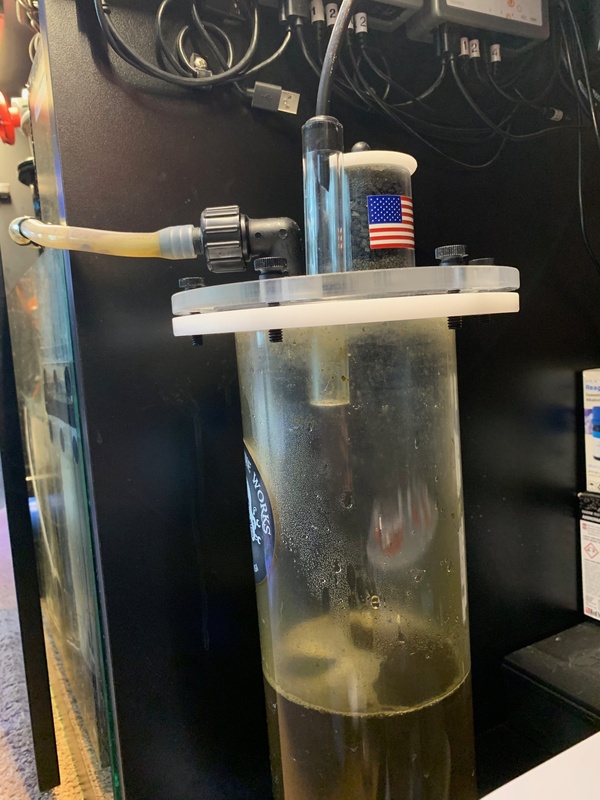 My wife had to clean up a skimmer overflow the other week that overwhelmed my less than high-tech milk jug receptacle so I also snagged a Avast "Davey Jones" skimmate locker on an awesome deal from Terry at Seahorse @Seahorse Aquarium (thanks Terry and Tewsley!). I got those up and running yesterday and looking forward to no more messy overflows. The Avast unit has a really interesting level detector (pressure switch) which I really like the design of in case you have never seen one of these. There is no mechanical or optical switch on the unit itself but it uses air pressure in a "detector" tube connected to the control box/outlet switch by a section of airline. Seems to work great and reduce the chance of damaging a sensor. They also have versions that directly connect to controllers if you want to go that route. 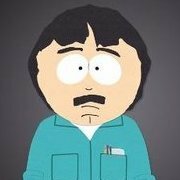 I am using the sensor controlled outlet as a primary shutoff but still running the whole circuit through my system controller so I can also shut off by the sump high level detector. Feeling much more secure now. Congrats on your new gear and corals! Thanks! I'm not too worried as I tend to skim fairly dry anyway. The only time it's likely to come into play is if something goes wrong. In my testing, it looks like it would shut off about 2 inches from the top in it's current position - which is plenty for my usual output. Looks like your "probe" might be a slightly different design. Yeah... I'm a little short on wrasses right now. Thanks Randall. Was waiting for some of my baby coral frags to grow up but might break out the camera for some "before" shots. Yeah - it was pretty painful and frustrating. We were trying to take care of a sick cat at the same time that was going on (we lost him). Definitely a bummer year. Fortunately the peeps here are always super helpful and generous so there is a silver lining of sorts. i like the fish list. i had an Eibli Angel once but it was good for a little while and then it started nipping LPS corals. it had to be removed but it was easy to catch by putting a acan in the fish trap. what is your experience with the fish so far? if you are having good luck with one i might have to try another one. I had a Coral Beauty for years and I never saw it nip a coral. Yeah - it was pretty painful and frustrating. We were trying to take care of a sick cat at the same time that was going on (we lost him). Definitely a bummer year. Fortunately the peeps here ate always super helpful and generous so there is a silver lining of sorts. I'm so sorry you lost your kitty. That sure is heartbreaking Sean. But glad to see you pulled yourself up and carried on. I wish I could give you back some of the frags you gave me a while back but lost most of them during the tank transfer except for that Idaho grape monti which you said you still had! Your fish list is pretty amazing. I bought a small purple tang a while back for CNC and really like it. They are beautiful and have great personalities. Glad the skimmer is working out for u! Thanks Greg! Those are actually SB reeflights 32 pros with timers. There channel manually dimable but no ramping. I couldn’t find info on the ORs at the time - he was in hiatus or something. I know some of the large pieces in there are from your frags (orange cap?) so thanks again for getting me started! What do you think of the SB reef lights? I'm buying the 32" with timer Friday. How are they doing for you after this long? I know they come with the 2 year warranty which is nice. i have been quite happy with them still. Had good growth and color and have been working non-stop since I put the tank up. Picked them largely due to the form factor and led density. There weren’t a lot of good options to get coverage on a long narrow tank but these worked great. Had one bad display out of the box (didn’t show the correct on/off status for one channel) but got a replacement fairly quickly. Chose to install myself to save time and their support was very responsive and helpful. No problems since. Great thanks for the reply, they were exactly what I was looking for as far as price as well. I wanted to stay in the ~$400 range and still be able to use them in an upgrade down the road if I wanted so the 32" size is great for that. I hope everything goes well for your tank in the future, I feel your pain believe me I had a heater malfunction about a year ago on one of my tanks while we were out of town for the weekend... Came back to a horrid smell and I knew immediately it was one of my tanks. I pretty much just collapsed in front of the tank not knowing where to start. Lost a lot that day but my Clownfish bothered me most, had those guys for several years. I've taken some precautions since that hard lesson though. Good luck moving forward! !